"Bring advanced modding capabilities to Minecraft with Minecraft Forge." Minecraft may very well be the most modded game in the history of PC games. Two of the issues with having so many mods are that there are many mods that do some of the same things as other mods do. This causes incompatibilities amongst the mods and, sometimes, will render the mods useless. Also, with every update to Minecraft, the current mods lose some of their compatibility. This is good and bad for many different reasons. It can be looked at as positive in a sense that if you are a Minecraft gamer, you are almost always going to have updated mods for your game. The cons come in when developers are slow in updating their mods and players have to go on without them. This wouldn't be too much of an issue if Minecraft was updated sparingly; however, that is not the case. Minecraft is updated quite often. 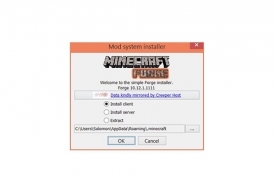 Minecraft Forge is a Minecraft modification that aims to help out in these situations and more. Forge acts as a compatibility layer for modders and brings more mod capabilities to developers and players alike. The installation of Minecraft Forge allows players to remove and minimize incompatibilities of multiple mods that do some of the same things. Players can feel free to add mods with the same functionality and not expect any glitches or errors from doing so. Also developers can create mods that are straight forward and similar to other mods out on the web without the fear that they will not work. 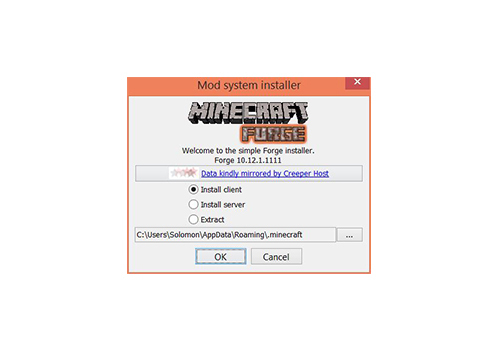 Learn how to install Minecraft Forge. Learn how to use Minecraft Forge is just a couple simple steps!